Wann kommt die US-POLITIK zur Besinnung, daß das Wohl Vieler mehr wiegt als die Macht Weniger. Möge das Volk die richtige Antwort geben bei der nächsten Wahl! (CNN) -- The world-famous Hubble Space Telescope is owned by the U.S. government and operated cooperatively by NASA and an institute under contract to NASA. Now that the government has shut down, the institute can still use existing resources to continue Hubble operations for as long as possible. Its staff has tried to ensure that -- to the extent possible -- the shutdown will not affect telescope operations. But events can overtake plans. If Hubble encounters a problem or a glitch, as happens occasionally, science operations will be suspended and the spacecraft will be locked into safe mode until government employees can issue spacecraft commands to restore operations. Safe mode means orienting the delicate instruments away from the sun while keeping the solar panels illuminated, to make sure no instrument loses power and is ruined. But in safe mode, the instruments won't record any of the light coming to the telescope. The approximate cost of one hour of Hubble observing is somewhere between $8,000 and $25,000, depending on whether one adds the costs of operating and refurbishing the facility to its initial construction costs. That means a two-week government shutdown could waste $3 million, $5 million, even $8 million of taxpayer investment. Frankly, the loss to science is far greater. Each year thousands of astronomers from around the world compete to decide where Hubble will point -- toward particular stars or planets or galaxies or gravitational lenses. Special science panels spend weeks setting priorities for the most important proposed science investigations. For every 10 hours of observing time astronomers want to use, only 1 hour is eventually approved. That means each week the government is shut down could cost dozens to hundreds of critical astronomical observations. The James Webb Space Telescope, Hubble's successor, is undergoing critical tests at the Goddard Space Flight Center. This has to be done at extremely cold temperatures, mimicking conditions in space, and the amount of time to cool the system down is one of the drivers of schedule and therefore cost. As long as the government remains shut down, the testing will have to wait. If the shutdown lasts more than a few weeks, the JWST instrument module will have to be warmed up, probably pushing the launch date forward by a few months and raising the cost commensurately (about $1 million per day). NASA operates dozens of scientific spacecraft. A few look out at the cosmos, like Hubble. Many monitor the sun and the particle environment around Earth. Such observations have provided early warning of major sunstorms (known by solar scientists as "coronal mass ejections") that can knock out communications satellites and other fragile electronics. To check on the number of satellites that might be affected by the shutdown, this author tried to access a NASA website, only to see the following message: "Due to the lapse in federal government funding, this website is not available. We sincerely regret the inconvenience." This prompted further searching. The main NASA website defaults to the same error message. The education and outreach pages maintained by astronomers at the Goddard Space Flight Center -- and read by schoolchildren across the country -- are not accessible. The Jet Propulsion Laboratory, because it is run under contract to NASA, still has a visible website. Their flagship mission, the Mars Science Laboratory and its Curiosity Rover, is apparently still active, operated by team members who work for JPL or Caltech or other participating institutions other than the federal government. But as for Hubble, if there is any kind of glitch, federal civil servants will be essential to the recovery of rover operations. The work doesn't disappear, either. Scientists at NASA and the National Science Foundation are some of the hardest working people I know. The government shutdown means they are forbidden to do any work. They can't take their laptops home or phone into teleconferences from home, the way I might if a hurricane or snowstorm threatened Yale. So, you might think they are having a nice (though unpaid) vacation. But actually, the same work is sitting on their desk when they get back, and it all has to get done. So it means they'll work longer hours to catch up and for most civil servant scientists, there is no such thing as overtime pay. A NASA colleague at the Goddard Space Flight Center is designing a powerful new telescope. For the past few weeks, we've had intensive discussions with colleagues around the world about the science this telescope will be able to do. Now, there is radio silence. His last e-mail said, "This is going to be my last e-mail before the government shutdown ends. Any work during a shutdown is deemed a violation of the Anti-Deficiency Act. You are welcome to continue to e-mail me, but I might not be able to respond until the federal government opens for business." 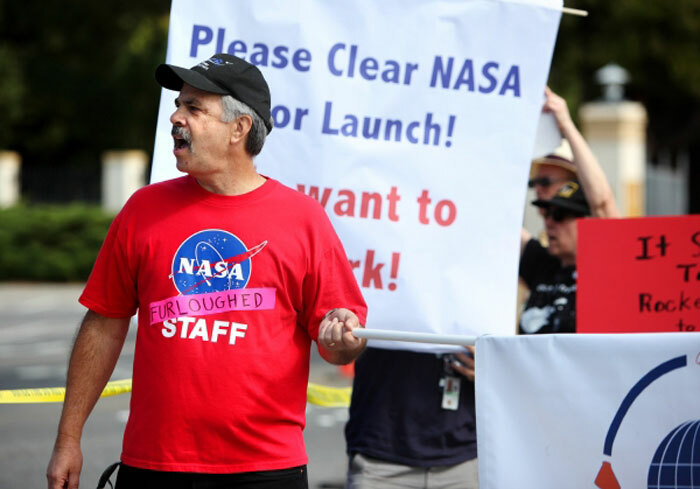 NASA was supposed to be marking its 55th birthday this week, but the US space agency gave furlough notices, not birthday invitations, to nearly all of its 18,000 employees, and began fretting about future missions as funding dried up with the US government shutdown. “We would like to offer you bulletproof collocation or dedicated servers on our hosting platform till the end of the crisis,” the Pirate Party said in a statement posted on its website Thursday. “We stand for Internet privacy, and as the result you would not have to worry about programs such as PRISM and other illegal activities of secret services of different countries. Your traffic, your activity and the activity of your users will be in safety,” the statement said. The Pirate Party, founded in 2009, is active in Russia as a public movement, but the Justice Ministry has refused to register it as a political party, claiming that the name “pirate” is a reference to a criminal offense. It claims representation in 48 regions of Russia with 5,000 applicants and at least 30,000 supporters. The stated goals of the party include promoting e-democracy, the freedom of information and the protection of personal privacy. The party reportedly operates on a monthly budget of 6,000 rubles ($200) and a dedicated grassroots effort. As the U.S. government shutdown grinds through its fourth day, science projects are falling like flies as they get starved of funds. And now, one of the most symbolic of scientific institutions has become the latest casualty of the political ineptitude on Capitol Hill. Today, as of 7pm Eastern Time, the National Radio Astronomy Observatory (site offline) will shut down all of its North American facilities. This includes the Karl G. Jansky Very Large Array (VLA) and the Very Long Baseline Array (VLBA) in New Mexico, plus the Robert C. Byrd Green Bank Telescope in West Virginia. Apart from a skeleton crew that will remain behind as security for the radio antennae, the vast majority of the NRAO’s 475 employees will be laid off in an unpaid furlough. The NRAO is funded by the National Science Foundation (site offline) and since the government shutdown on Oct. 1, the NRAO only had a week’s worth of operating funds (left over from the last fiscal year, which ended on Sept. 30) that sustained the organization through to today. “We’re really at a dead halt,” NRAO Director Anthony Beasley told Science Insider. Ripples of the shutdown are being felt at international radio telescopes too. The recently-completed Atacama Large Millimeter/submillimeter Array (ALMA) in Chile, for example, is heavily funded by U.S. participation. Although the U.S. contingent has “some additional resources in the bank in Chile,” according to Beasley, that will only last for another 3-4 weeks should the the deadlock in D.C. continue that long. Critical systems are being maintained by around 90 employees who have to weather the funding storm. Cryogenically cooled electronics, for example, need to be maintained — simply switching off these systems would be prohibitively damaging and expensive. But if the shutdown pushes into November, the NRAO may not have enough reserves to pay for its electricity bills. “This is a very difficult situation,” said Beasley. Amid all the bad news, there are a couple of glimmers of hope for space, particularly the planetary sciences. The NASA Mars rovers Curiosity and Opportunity, for example, remain up and running (for the time being) as the scientists and engineers at NASA’s Jet Propulsion Laboratory in Pasadena, Calif., are contractors managed by Caltech. Also, NASA’s next Mars mission, the Mars Atmosphere and Volatile Evolution (MAVEN) orbiter, was granted an emergency exception under federal law to continue preparations for its Nov. 18 launch to the red planet. If preparations were suspended, and the mission missed its primary 20-day launch window, the launch could have been bumped to 2016. The new Mars orbiter is considered critical for continued and uninterrupted communications with NASA’s surface missions. But for the NRAO, there is little good news — North America is about to go “radio blind” and there’s little anyone can do about it. The radio observatories shut down will impact the science community severely. Several thousand scientists use the data from NRAO installations and hundreds of them, according to Beasley, are considered “heavy” users. The radio observatories study everything from star formation, galactic evolution to the origins of our Cosmos. 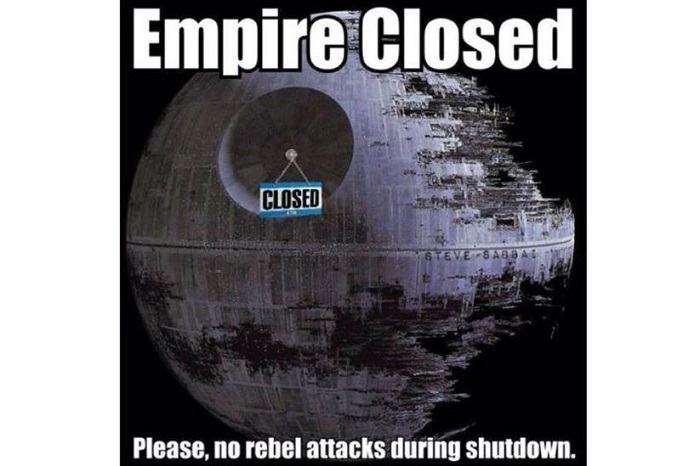 Of course, the government shutdown doesn’t only affect radio observatories. All sciences that depend on government funds have been impacted; every facet of U.S. society has been hit and people are suffering as a result. Government employees have been furloughed and the public that depend on those services will have to do without. The nation’s infrastructure and economy will be greatly affected. In the pursuit of an idiotic ideology, a very small group of politicians (with no idea about what they are fighting for, let alone the consequences) has shut down our eyes on the Cosmos. This is a reckless act that isn’t just a blip on the radar of knowledge; it will reverberate far beyond the shutdown — hurting science and the inquiring minds who investigate that science — long after the politicians decide to work for the U.S. people again. HOUSTON -- The office of Congressman Steve Stockman Monday gladly met with local NASA employees to discuss the effects of the government shutdown and Obama administration funding cuts to NASA. 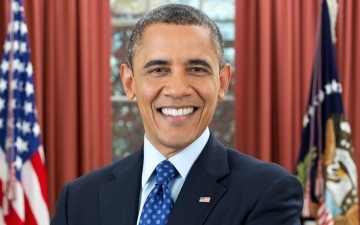 “I’ve also led the fight to restore the billions Obama cut from JSC operations. We get more return on NASA than nearly any other agency and we need expand out investment in it,” said Stockman. Stockman also opposed Obama’s proposal for sequestration of NASA funding. Stockman proposed an alternative to sequester that would fully restore NASA funds. Stockman is also working to overturn Obama’s closure of JSC’s arc-jet facility, restore manned space flight, increase NASA’s budget, extend use of the International Space Station to at least 2028, restore Mars missions and expand planetary probes. Their meeting was organized by a local Amnesty International activist. 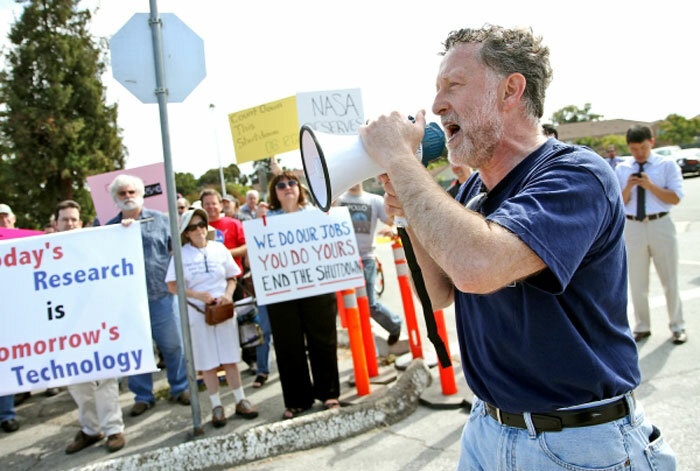 More than 70 NASA employees and their supporters gathered in front of Moffett Field's main gate on Wednesday to protest the federal government shutdown that has kept them from their jobs since Oct. 1. "We want to get back to our data analyzing and research paper writing!" 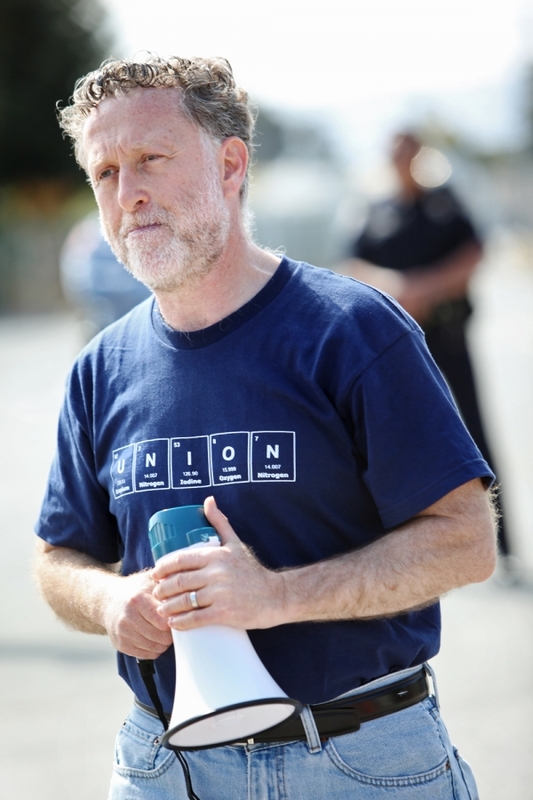 said Lee Stone, president of local 70 of the International Federation of Professional and Technical Engineers, to the crowd, which began chanting "We want to work! We want to work!" All but a skeleton crew is now working at NASA Ames Research Center on important missions. As one scientist said, "Ninety-seven percent of us are not going through that gate." "I'm supposed to be looking for planets, but I'm not," said Kepler mission scientist Natalie Batalha, whose words inspired the crowd to began chanting, "We love Kepler! We want Kepler!" She added that she would even volunteer her time to continue her work, but she can't. The crowd also cheered for Brian Day, EPO lead for LADDEE, the lunar atmosphere and dust environment explorer, when he said LADDEE had "just entered orbit around the moon." "It's a very interesting story and unfortunately we aren't telling it," he said. "Normally I'd be trying to prevent foreign countries from trying to hack into our data but I'm not doing that right now," said cyber-security expert Matt Linton. He said a "skeleton crew" was still doing that work, but that it would be "insufficient" in the longer term. Stone, who works on airplane safety at Ames, said that among the projects being delayed was the testing of a new tail section of the Boeing 757 airliner designed to make it "more efficient and safe." The protest was at times humorous. As one speaker mentioned a type of planet in the solar system, someone in the crowd asked, "Do they have jobs (on those planets)? I'll go!" A middle-schooler named Eliana had skipped school for what her dad called the "ultimate civics lesson." 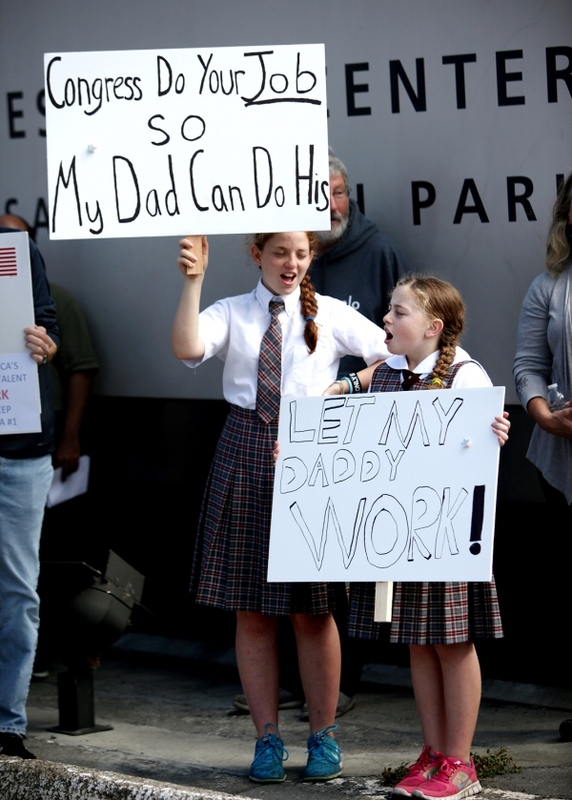 She held a sign that said "Congress do your job so my dad can do his," while her sister Natalia's said, "Let my daddy work!" "Science is kind of a continuous act," Linton said. For example, he said researchers were in the middle of a window of time once a year that planes can fly in and out of Antarctica, to replenish supplies and relieve personnel who can can only stay a few months at a time. A continued shutdown could mean that all research in Antarctica would have to stop for almost a year. For some missions, "If you don't collect data now it slips by," Linton said. "Once you halt it, you have to start all over again." He said many people would like to volunteer their time to continue their research but he says they aren't allowed. Linton told the crowd that he wore a shirt with the word "Expendable" on it in irony, to which the crowd began chanting, "We are not expendable, we are not expendable!" "There's no reason to continue this shutdown," Stone said. "Argue your politics in D.C., but open the government now!" "Today, I am writing to simply say: Welcome back. Thank you for your service."